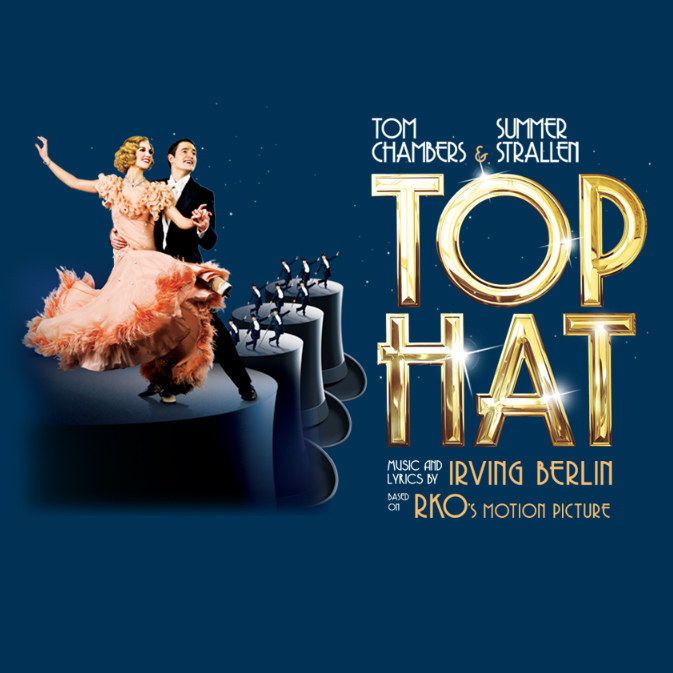 Following a 17 week UK tour and seventy seven years after its movie release, TOP HAT will receive its West End stage premiere at the Aldwych Theatre . Previews begin April 19th and opens on May 9, 2012. TOP HAT will run at the Aldwych Theatre until January 26, 2013. Tickets go on sale tomorrow, November 12, 2011. Jerry Travers (Tom Chambers), the famous American tap dancer, arrives in London to appear in his first West End show. Travers meets the irresistible Dale Tremont (Summer Strallen), the girl of his dreams, and follows her across Europe in an attempt to win her heart. Performed by a cast of 31 and accompanied by a live band of 15, this new musical comedy will include Irving Berlin classics from the movie such as 'Cheek to Cheek', 'Isn’t It a Lovely Day to be Caught in the Rain' and 'Top Hat White Tie and Tail's. In addition, from Berlin’s 1,200 strong back catalogue, a further ten numbers have been interpolated including 'Let’s Face the Music and Dance' and 'I’m Putting All My Eggs in One Basket'. Directed by Matthew White and choreographed by Bill Deamer, Tom Chambers and Summer Strallen take the lead roles of Jerry Travers and Dale Tremont, played in the movie by Fred Astaire and Ginger Rogers. They are joined by Martin Ball and Vivien Parry playing husband and wife Horace and Madge Hardwick, Ricardo Afonso as Alberto Beddini and Stephen Boswell as Horace’s valet Bates. Set designs are by 2011 Laurence Olivier Award Winner Hildegard Bechtler, with costume designs by Jon Morrell, lighting design by Peter Mumford, musical direction by Daniel Jackson, musical supervision by Richard Balcombe, new orchestrations provided by Chris Walker and sound by Gareth Owen. 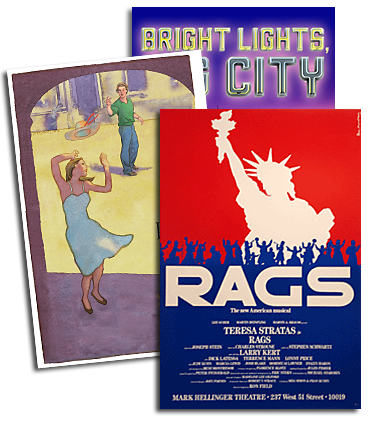 With music and lyrics by Irving Berlin and based on the RKO motion picture, the screenplay by Dwight Taylor and Allan Scott has been adapted for the stage by Matthew White and Howard Jacques and is presented by arrangement with RKO Pictures LLC, Warner Bros Theatre Ventures Inc. and the Irving Berlin Music Company.